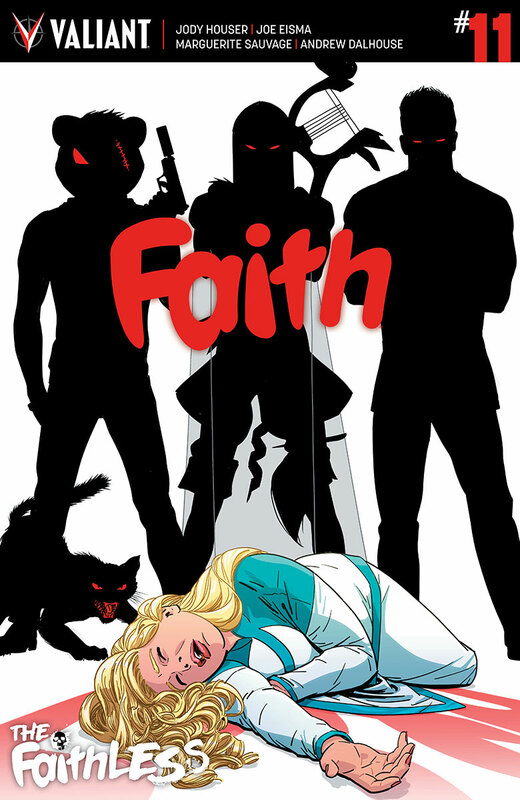 The Fellowship was fortunate enough to obtain a copy of FAITH #11 from Valiant Comics. The story is by Jody Houser, with art by Joe Eisma, colors by Andrew Dalhouse, and letters by Dave Sharpe. The Fantasy Sequences are by Marguerite Savage. Month in and month out, this book never fails to be an awesome, entertaining read. With “The Faithless” Jody Houser is throwing everything she can at our heroine, but you know that she will come out on top in her own unique way. It’s great to see Joe Eisma do super hero art, he’s perfect for this book. Marguerite Savage fantasy scenes are awesome as well; she truly conveys the fact that deep inside Faith is a dreamer (like a lot of us). Andrew Dalhouse and Dave Sharpe do top notch work as always. Hard to find anything wrong with this book, so check it out! FAITH #11 is at your local comic store or available at www.valiantuniverse.com.